This item is part of Maxlite Gas Station Canopy. It is design to offer quality light, energy savings, and be maintenance-free for new or older retrofit projects in service stations. 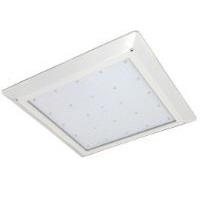 The light output is 15,765 lumens with 126 watts. It comes with a 10 year warranty and is DLC Premium 4.1.